FAQs: Why Do We Need Checkups and Cleanings? How often do you bring your family to the dentist for an exam? Regular checkups and cleanings may not seem like major treatments, but these procedures can actually help you avoid the onset of serious dental health problems. Dr. Adrian Vande Merwe explains how these preventive treatments can help you achieve a brighter, healthier smile. Question: How often do I need a checkup? Answer: You should have your teeth examined at least twice a year. Both kids and adults benefit from a routine exam. During this procedure, Dr. Adrian will look for signs of developing dental issues, offering treatments before the problem progresses. He can also discuss tips for helping your family maintain healthier teeth and gums. 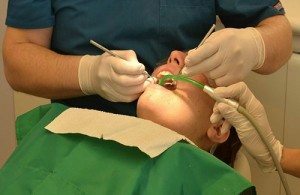 Question: Why do I need a dental cleaning? Answer: Along with a checkup, you should also have your teeth cleaned once every six months. Many patients who brush and floss correctly and regularly ask if they still need a cleaning. The answer is a resounding yes. This procedure allows Dr. Adrian to remove plaque buildup from teeth, which cannot be erased with brushing and flossing alone. Otherwise, plaque can lead to enamel erosion and gum inflammation, which boosts your risk of developing tooth decay and periodontal disease. Once we remove the plaque, we will polish your teeth for a smooth, bright finish. Question: Do children require checkups and cleanings? Answer: Yes. Children benefit from both of these preventive treatments. Routine visits also help children become more accustomed to the office, which can ease dental anxiety. Furthermore, this allows Dr. Adrian to instill good dental habits and educate your little ones on proper brushing and flossing. Question: What happens if Dr. Adrian finds a cavity? Answer: If during your visit we uncover signs of a cavity, we will often recommend a dental filling. This procedure can be completed in a single visit and repairs cavities. We will remove the decay and thoroughly clean the tooth. We will then place a filling. The material used will depend on a number of different factors. Do you have any questions about our checkups and cleanings? Interested in improving both the health and beauty of you and your family’s smiles? Then schedule a visit with Dr. Adrian today. We proudly service the residents of Bountiful and surrounding communities. Call us today at (801) 292-7500.